‘Tis the season for deviled eggs, egg salad, eggs over greens, and basically whatever else you can think to do with all those leftover eggs after Easter. Because if the most traditional Easter Bunny visits your house, your kids’ baskets will be overflowing with colorful hard-boiled eggs. The real kind. The kind the kids remove immediately to dig deeper for the chocolate and jelly beans they prefer. 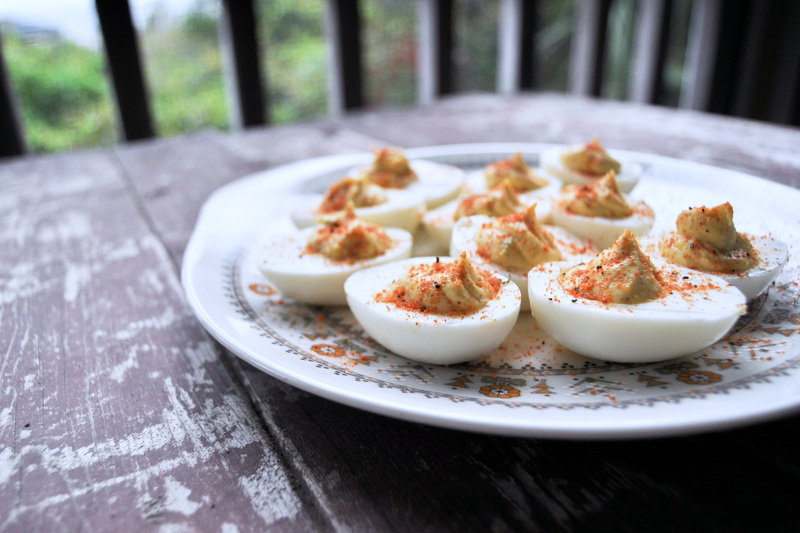 Or, maybe Easter just has you in the mood for classic deviled eggs and you’re looking for an easy recipe. 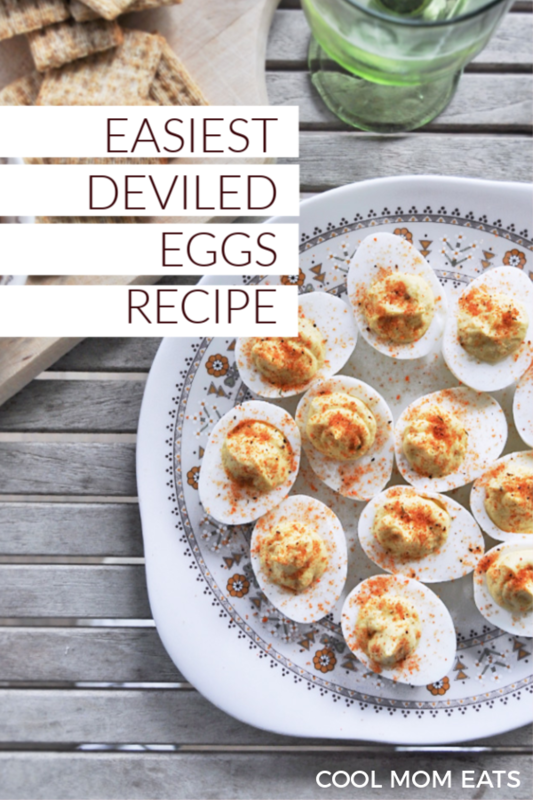 Either way, this is my favorite easy deviled egg recipe – plus a brilliant back-up plan if your eggs don’t peel as nicely as you would like. The deviled egg recipe here is a simple one, but feel free to personalize it. I usually use Lawry’s seasoning salt, but you can change it up with seasoning that contains curry, dill, or any other flavor you like with eggs. You can also top your eggs with crumbled bacon, a little pickled jalapeño, roe, chives…you name it! 1. Hard-boil 6 eggs (see our instructions for how to boil eggs perfectly) — you can liberate them from your child’s Easter basket, or buy them already boiled. No judgement! 2. Peel the eggs, slice each egg in half, and scoop out the hard yolks then drop the yolks into a small bow. 4. Add the mustard, hot sauce, and vinegar to the crumbled yolks and mix until just blended. Do not over-blend or the filling will run out of the eggs. 5. Add seasoning salt to taste. 6. Fill each egg white half with a dollop of yolk mixture, using a pastry bag if you want to get fancy, or a Zip-loc bag with the corner cut off if you’re me. 7. Garnish with a sprinkle of sweet paprika and optional toppings, and serve chilled. There are a million fool-proof methods for boiling and peeling eggs on the internet, and most of them work the vast majority of the time. But every now and then…they don’t. The eggs can rip as you’re peeling, or the yolk isn’t quite hard enough, or parts of the egg white are so thin they tear when you cut them in half. 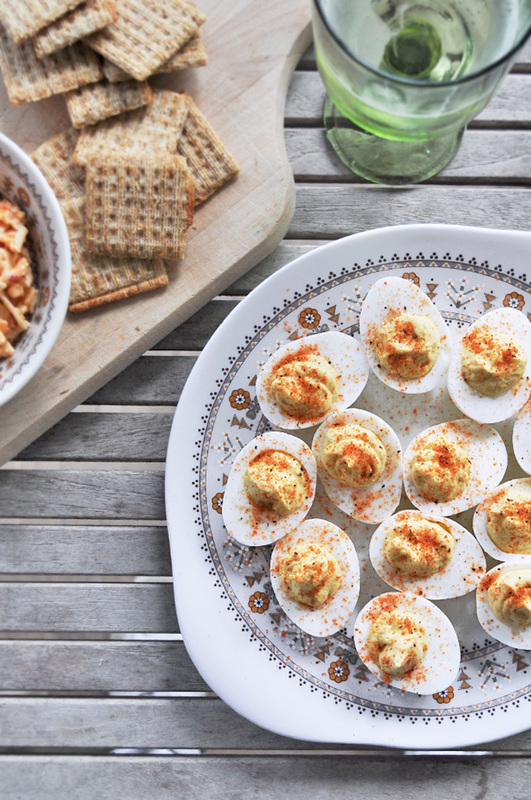 Never fear: My deviled egg salad recipe to the rescue. Related: The final word on how to cook eggs so that they peel perfectly every time. 1. Use the same ingredients above, mash everything together with a fork, and call it egg salad. 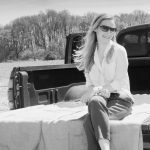 Serving them in tea sandwiches makes for a delightful appetizer, or serve on cucumber slices or crackers, and of course, egg salad sandwiches are always classic. 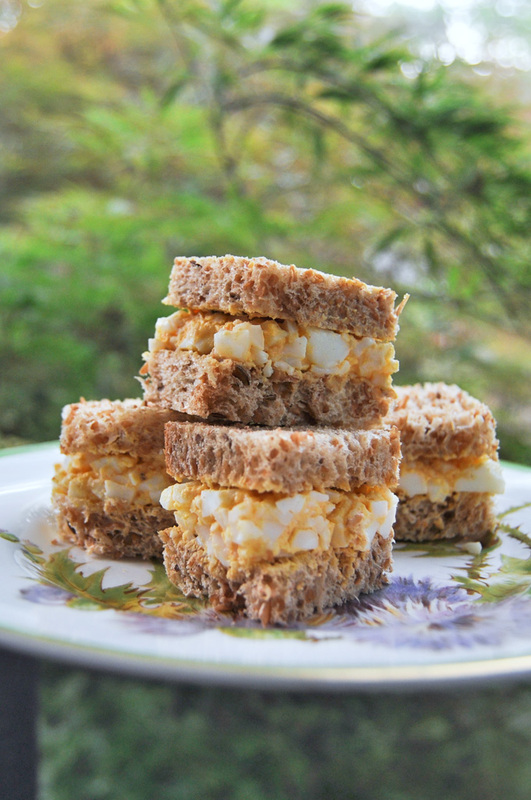 I think deviled egg salad is delicious on rye, but any bread you have on hand works.